These days, a laptop is practically a necessity for students and professionals. Laptop bags come in a wide range of styles and colors, including messenger bags, backpacks, sleeves, and totes. Regardless of style, the best laptop bags have a well-padded, dedicated laptop compartment, plus secure pockets for phones, keys, thumb drives, cables, and more. Backpacks and messenger bags should have padded straps that can be adjusted, plus a carry handle in case your shoulders get tired. Other nice-to-have features include waterproof or water-resistant materials, room for a water bottle, and, of course, a low price. We took organization into account when evaluating online reviews for the best laptop bags, as well as durability, appearance, and comfort. The result of our research: the best laptop bags, backpacks, totes, and sleeves, and even a rolling backpack for taking your office on the road. - Separate, padded compartments for a 15-inch laptop and tablet; side-zipper access to the tablet compartment. - Cable port and organizational pockets. - No external water bottle holder. - Slightly bulky and stiff for some users. Takeaway: The Incase Icon Pack is a top pick at both Wirecutter and OutdoorGearLab. The product testing sites agree that it's a great choice for bringing to the office, with plenty of room for all your tech. The main compartment keeps a tablet and laptop safely separated, and the secondary compartment has a secure hook for keys, pen pockets, and an eyeglasses pocket. There's also a port at the base to snake out an audio or power cord. The chief drawback, reviewers say, is the bag's rigid structure, which doesn't collapse to save space when empty, the way a softer-sided messenger bag or backpack would. But about all it lacks is a dedicated water bottle holder (some people note that carrying a water bottle inside the pack puts delicate electronics at risk). - Chic alternative to a traditional laptop bag. - Padded inner sleeve fits a laptop up to 16 inches. - Some durability complaints after a few months. - Could be roomier, a few reviewers say. Takeaway: This sophisticated laptop tote from Kenneth Cole Reaction's Casual Fling collection doesn't look anything like a traditional laptop bag or backpack — and that's a good thing, many reviewers say. Many people admire the leather-like material and appreciate the covered external pocket, which contains an inner zippered pouch, plus room for a tablet, a phone, and pens. But others note that the snap clasp may not stay shut if you stuff the pocket with too many items. The biggest complaint comes from owners who say the stitching and lining aren't very durable. But this tote gets very enthusiastic reviews overall, and users say it's comfortable to carry on airplane flights and the daily commute. - Relatively inexpensive for a messenger-style laptop bag. - Very large; fits laptops up to 17.3 inches. - Cotton canvas is very durable, reviewers say. - Carry handle feels awkward to some. - Scattered complaints of poor construction. 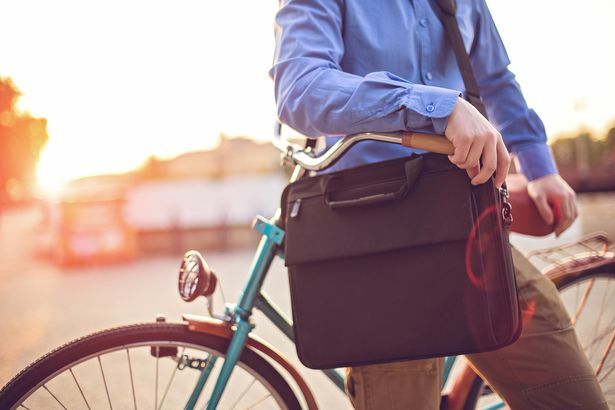 Takeaway: There aren't a lot of professional reviews of laptop messenger bags, but they're popular with commuters who bike (or want to look like they do). One of the few sites that does test messenger bags, OutdoorGearLab, gives this one a "Best Buy on a Tight Budget Award," saying few other bags this cheap can match its overall quality. Most owners are equally enthusiastic and praise small details and features like the removable Velco-backed ID holder, which can be attached in several places on the bag. We read a handful of comments about loose stitching and plastic clasps that break. Some reviewers also note that the slightly offset handle can make the bag awkward to carry like a briefcase, but most say the padded shoulder strap is comfortable. - Sturdy and stable, reviewers say. - Padded sleeve fits laptops up to 17.3 inches. - Too big to fit under most airplane seats. - Telescoping handle feels flimsy to some reviewers. Takeaway: If you have to take your office with you everywhere you go, the Solo Bryant Rolling Case is a good, low-cost option, reviewers say. The main zippered compartment is big enough to accomodate a 17-inch laptop and a tablet in separate pouches, while the secondary compartment has three sleeves for a smaller tablet, a phone, and pens. There's also a fold-down zippered pocket and a smaller sleeve on the exterior. On the downside, several users say the zippers break or jam easily. Others say the bag, which weighs 6.4 pounds empty, can feel bulky or unwieldy when full. But there's plenty of room to stash all your belongings. - Owners say this bag is very durable. - Insulated external pocket is big enough for a sandwich and a can of soda. - Available in more than a dozen colors and patterns. - Scattered complaints about shoddy construction. - Some people with small frames say the bag feels too big on their shoulders. - Polyester and nylon fabrics feel cheap and stiff to some reviewers. Takeaway: The Dakine Campus Backpack is equally at home at school or at work, owners say. The 33-liter pack has a padded sleeve for a 15-inch laptop in the main compartment, plus a secondary compartment with nice-to-have touches like pen sleeves, a zippered pouch, and a fleece-lined sunglasses pocket. An external mesh pocket can hold a water bottle or umbrella. This bag isn't waterproof, but owners say it's fairly water-resistant. Most say they're happy with the bag, although we read a handful of complaints about stitching that unravels and zippers that break. A few others say the insulated pocket doesn't keep food cold enough. A slightly smaller version, the Dakine Campus 25L, has the same features and can fit a laptop up to 14 inches. - Available in a range of sizes from 7 inches to 17.3 inches. - Zipper slides smoothly, reviewers say. - Sizes run small and don't fit all laptops, reviewers complain. - Neoprene-like material doesn't offer much padding, some users say. - Scattered complaints that the fabric dye rubs off on laptops. Takeaway: A laptop sleeve turns any backpack or bag into a laptop bag, and reviewers say there's no better value than the AmazonBasics 13.3-inch laptop sleeve. It has more than 10,000 reviews on Amazon, a majority of which are very enthusiastic. But a significant minority of buyers complain that the sizing is off and the sleeve didn't fit their laptops, forcing them to return it. We also read a handful of complaints about the sleeve's plain appearance and plasticky odor when brand new. It's the top pick on the product review site Wirecutter, though, where it's lauded as "basic yet effective." - Weighs just over 7 ounces; relatively lightweight for a waterproof sleeve. - Available in 4 sizes from 11 to 17 inches. - Removable, padded inner sleeve. - Zip-lock seal is difficult for some users to close securely. - Scattered complaints about sizing. Takeaway: Most owners say the Aqua Quest Storm 15 lives up to its claims of being waterproof, something that can't be said for other laptop sleeves. It's also less expensive than similar products from other brands, something several reviewers point out. The padded inner laptop sleeve is a nice touch, but some users warn that the neoprene-like material isn't very thick and may not provide much protection if you drop it. A handful of owners say the ziplock inner seal doesn't always keep moisture out. Still, this is a good choice if you live in a rainy climate and take your laptop outside frequently. Best10Products.com participates in affiliate marketing programs, which means we may earn a commission if you choose to purchase a product through a link on our site. This helps support our work and does not influence editorial content.